“Important recognition to political prisoner in Russia”, says NHC General Secretary. Parliamentary Assembly of the Council of Europe (PACE) has awarded the Václav Havel Human Rights Prize 2018 to human rights defender Oyub Titiev. “The Prize is an important statement acknowledging the invaluable work of imprisoned human rights activist Oyub Titiev”, says Norwegian Helsinki Committee Secretary General Bjørn Engesland. Oyub Titiev is one of very few human rights defenders to remain active in Chechnya in Russia’s tormented North Caucasus region. Several of his colleagues in Memorial or in independent news outlets like Novaya Gazeta have been silenced, even murdered for their work. 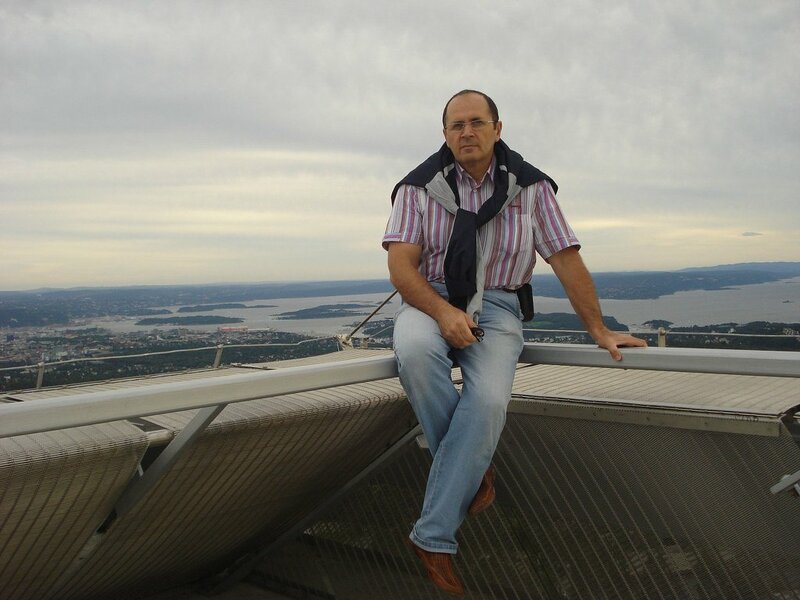 Titiev has been groundlessly imprisoned since January and is going through a farce-like court procedure. The Norwegian Helsinki Committee states that the Prize is an important recognition of the strong and persistent civil society in Russia and Chechnya – who are defending human rights despite increasing challenges. “Titiev is an outstanding, brave activist who inhabits a strong dedication to human rights and well-being for all Chechens. He enjoys great respect among citizens and human rights activists alike, locally and internationally. The PACE has awarded this year’s Prize to a candidate well deserving of the recognition”, says Engesland. Engesland hopes the Prize will reinvigorate international processes already initiated against Russia, such as the OSCE Vienna mechanism and smart sanctions against large scale human rights violators. “The Prize is a clear signal to Russia President Putin and Chechnya President Kadyrov that their blatant violations of fundamental freedoms are not ignored”, says Engesland. The arrest of Oyub Titiev was accompanied by attacks on the car of his lawyers and arson of the Memorial office in the neighbouring republic of Dagestan. But the violations are not limited to human rights activists. In 2017, journalists in Novaya Gazeta uncovered mass human rights violations and torture of perceived LGBTI persons, and 27 young men were found executed after having disappeared in the authorities’ investigation of a terrorist attack. Torture, disappearances and the practice of collective punishment of whole families and villages is widespread and criticized by Titiev on several occasions. Quietly he has been working to gather important documentation in order to secure investigation and verdicts of the perpetrators of such grave crimes. The Václav Havel Human Rights Prize is awarded each year by the Parliamentary Assembly of the Council of Europe, in partnership with the Václav Havel Library and the Charta 77 Foundation. It consists of a sum of 60,000 euros, a trophy and a diploma.